That was me. Now I see you got inspired by my handle on that forums. Lol. I threatened them with orange and they settled with blue. #1627801 Growdown Throwdown 2019 Sri Lanka - Chilli Red! Not as big as others but I hope he will grow up to be a worthy contender. Mobile irrigation, eh. I love it. Adapt!!! That is what she said when I complained. Looking good I think you're in for a saweet year! I like the lazy me statement, I just rolled 2018 into 2019 shame on me, spank me, whateva.. Thank you Dev. I wish I could update the glog more frequently. My work and travel are killing me. Hopefully it will slow down. Off topic - You live in a newer sub Saiis or you and you neighbors are all cool with each other and left the back lots open? 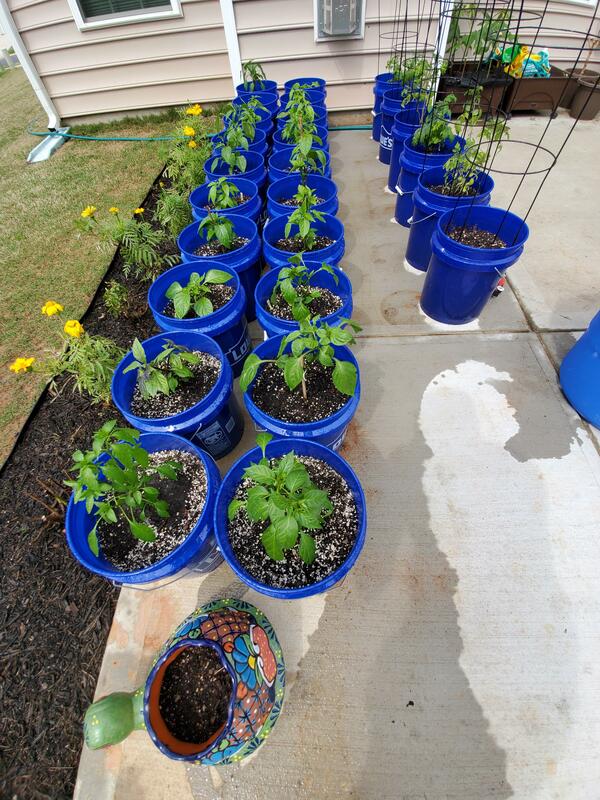 I wanted to build self watering buckets and then decided that will I will stick to dip irrigation for this year. 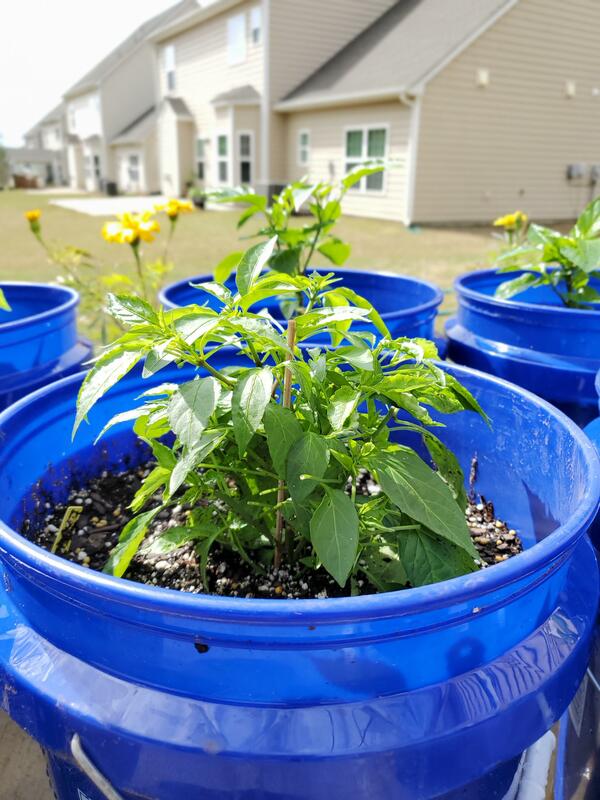 More buckets = more plants. We moved here couple of years back and I my immediate neighbors on are friends ( on the other side, I have open area). As they grow, I will move them and place them around the patio. Also, I am going to setup drip irrigation system as I need to travel for work 10 days a month. All potted and outdoors. And so it begins. A question. What has drawn you to srilanka to explore peppers instead of India which is right next door? business. How do you find time to work? He works? I mean other than this? I thought growing peppers and spreading pepper knowledge is his work. Can you save me a shishito plant? I will pick it up when I come to south? I wasn't expecting any one person to want that many. It definitely helped to get a jump start on paying for all of the stuff that I've bought so far this year. Still a long way to go, but every bit helps. 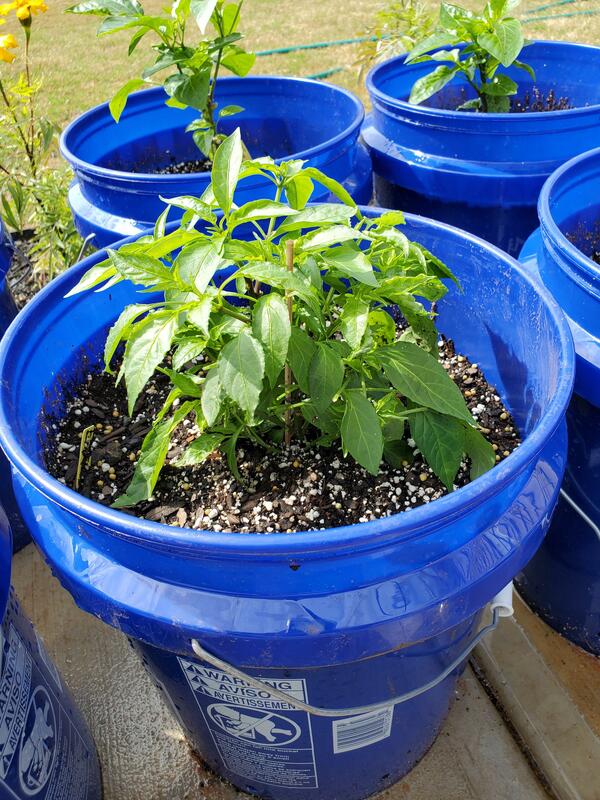 Saw a pepper plants for sale post on facebook. Thought it was you. Great sale. Hopefully you will get more of these. #1624307 Growdown Throwdown 2019 Sri Lanka - Chilli Red! I used smaller clear cups last year. I had problems but I dont think it was from them being clear, it was cause they were small. And I wasn't feeding enough, I think. You will probably get some algae, but I dont think it really causes problems. Ive seen rockwool completely covered in algae with decent plants in it. And I do like being able to see the roots. If I had money I would invent pots with a clear liner inside a black pot, so you could lift out the clear part and check for moisture/root development. If someone takes my idea, just kick me back some royalties, or lifetime free pots. What about life time free pot? #1622427 Growdown Throwdown 2019 Sri Lanka - Chilli Red! Ain't that purdy.. can't wait to try these. Yup. Just pluck them and eat. No weighing..
#1622205 Growdown Throwdown 2019 Sri Lanka - Chilli Red! I assume the point of having them on their sides like that is too increase lateral branching by exposing the nodes more directly to the light, but yeah, how are people keeping the dirt from spilling? By using dirt that is high in iron and then,placing magnets at the bottom of the pot. Duh..
#1621362 Growdown Throwdown 2019 Sri Lanka - Chilli Red! Too many birds in this thread. Lol.